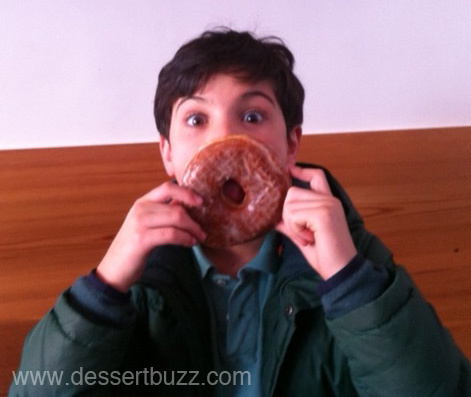 DessertBuzz’s 10-year-old doughnut expert and guest reviewer was back on the streets of New York again yesterday in search of more doughnuts! 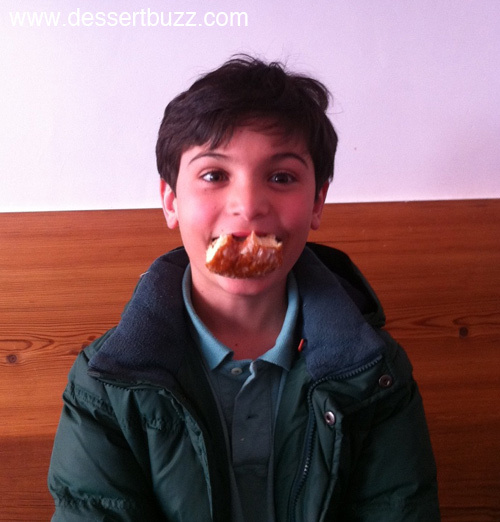 Luckily, he was able to find some at the Chelsea location of the Doughnut Plant. 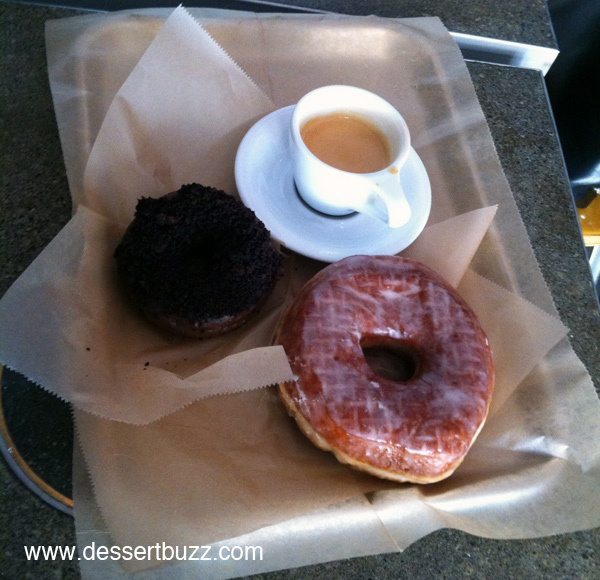 You may recall the Doughnut Plant from the 2011 New York Food and Wine Show where they won best dessert with their creme brulee doughnut. After a lengthy and careful visual examination that included size comparisons, our reviewer checked in with a short but succinct review of the Vanilla Bean glazed doughnut. “This tastes like a regular glazed doughnut but bigger and with a hint of vanilla”. There you have it! The support crew for the 10-year-old doughnut expert split a blackout doughnut with chocolate frosting and crunch topping on a chocolate cake-style doughnut. Their verdict: “Very caky”. 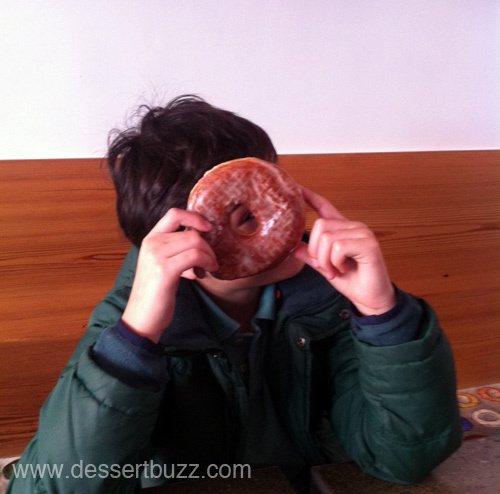 The Doughnut Plant has locations at 379 Grand Street and 220 West 23rd Street. Their website is here. Follow DessertBuzz on Twitter.